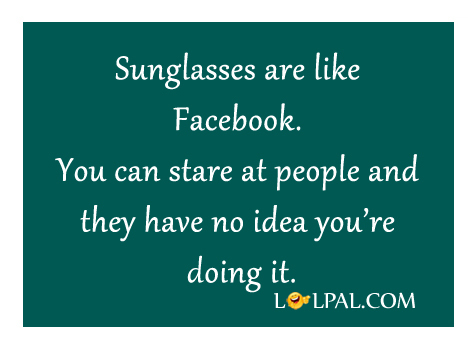 Lolpal » Funny Sayings » Sunglasses Are Like Facebook. Sunglasses are like Facebook. You can stare at people and they have no idea you’re doing it.